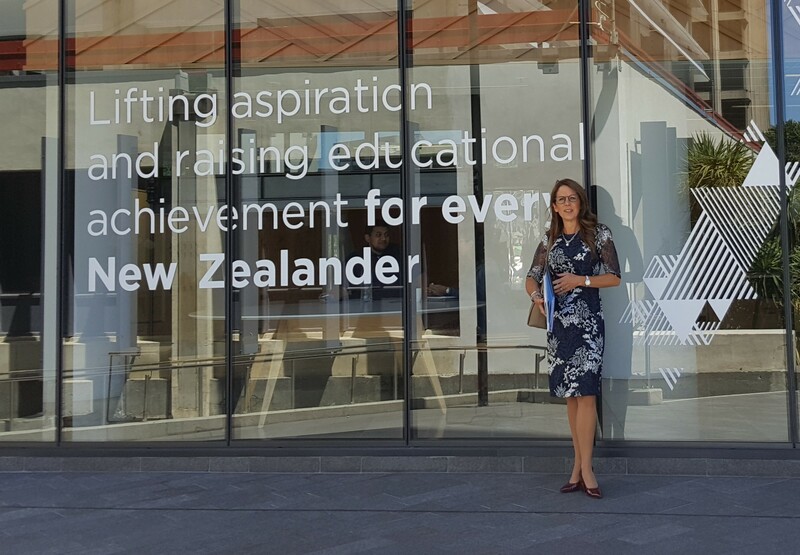 Sharon Robertson and Juliana Potulic from IBSA recently met with a number of key stakeholders across the VET sector in Wellington, New Zealand. Meetings included representatives from the Ministry of Education and the Minister’s Office, New Zealand Qualifications Authority (NZQA), the Industry Training Federation (ITF) and a number of Industry Training Organisations (ITO). The visit provided an opportunity to discuss the strengths of our respective vocational education and training (VET) systems and how to better meet emerging skills needs. they are underpinned by robust qualification frameworks and national quality assurance arrangements. Our VET sectors do provide opportunities for a diverse range of cohorts. However, the systems face challenges in meeting employment outcomes for students, employer and industry skills needs and enabling future generations to build capabilities. In Australia, CEDA’s 2019 Economic and Political Overview report considers that the critical question to be addressed is ‘whether students are getting value for their and the public’s money by pursuing a university degree?’ The report also reflects that students and the Australian economy would benefit from a greater investment in vocational training. A similar sentiment is echoed by research undertaken in New Zealand, which attempts to break the misconception that university graduates are financially better off than apprentices and trainees. The research highlights that apprentices and trainees who earn while they learn avoid student debt, and often buy a home, as well as paying off their mortgage, earlier. Click here for more on this research. 2019 is shaping up to be a year of change for both the Australian and New Zealand VET sectors with both systems undergoing a series of reviews. Reviews of both the Australian Qualifications Framework and New Zealand Qualifications Framework are underway and seeking views on how the frameworks can meet emerging skills needs and encourage life-wide learning. In Australia, an expert review of the VET sector is nearing completion. This review focuses on ‘how the Australian Government’s investment in VET could be more effective to provide Australians with the skills they need to be successful throughout their working life.’ This review is being led by Steven Joyce, the former New Zealand Minister for Tertiary Education, Skills and Employment with a report due to the Government in March 2019. The New Zealand Minister of Education also announced a number of proposals for the Reform of Vocational Education in February. These ‘proposals aim to create an accessible, affordable, flexible and high quality vocational education system that will provide learners with the training they need in a rapidly changing world’. The New Zealand Government is aiming to implement the new VET system later this year. It is hoped that these critical skills leadership conversations, on both sides of the ditch, lead to the establishment of coordinated systems with clear visions for the VET sector. IBSA looks forward to continue to develop the relationships with key stakeholders established during our recent visit to further inform our Training Package development and organisational capabilities as the VET sector continues to evolve.